Consumers will soon benefit from more accurate information on what broadband line speeds they can expect from their ISP and what they can do if this isn’t delivered. The changes form part of a proposed update to Ofcom’s voluntary code of practice for residential speeds. At present most of the UK’s major ISPs have already signed up to the regulator’s existing 2015 Broadband Speed Code of Practice, which among other things requires providers to explain to new customers the access line speed that they’re likely to achieve at home, and to try to resolve any problems when speeds fall significantly below the estimate. A similar code exists for business connections (here). As part of this, consumers should also be given a personal estimate of download speed during the sign-up process with a new ISP, which reflects the 20th and 80th percentile speeds to be provided (i.e. an estimate range of possible performance for your line). See our example from Vodafone below. Providers also have to set a Minimum Guaranteed Access Line Speed (MGALS) for your line, which reflects the slowest 10% of similar users and is available upon request. This is important because ISPs that fail to resolve any significant speed problems may offer customers the right to downgrade or even to exit your contract, without penalty, if their performance falls below the MGALS for your connection. Ofcom’s existing code is largely focused on connection technologies where performance may be distinctly less reliable, such as copper line ADSL and hybrid-fibre FTTC (VDSL2) based services that often suffer flaky performance due to poor quality home wiring, external interference, damage or long copper lines (weaker signals over distance) etc. However cable (DOCSIS) providers (e.g. Virgin Media) and some “full fibre” ISPs (e.g. Hyperoptic), which are generally much more reliable performers, are also members of the code even through strictly speaking they don’t have to be. Sadly most smaller ISPs have not joined the code and thus related consumers won’t benefit from its protection. Ofcom are now proposing to make a few tweaks to their code, such as by updating the required personal speed estimates to reflect the impact of network contention and ensuring that customers have better information about their right to exit a contract. On top of that they also want the revised code to apply to all broadband technologies, such as Cable and FTTP, although the measures are a bit different for those. * Improve speed information at the point of sale and in contracts, by reflecting the slower speeds people can experience at ‘peak’ times (8-10pm for residential customers and 12-2pm for businesses); and by ensuring providers always give a minimum guaranteed speed before sale (at present you only get the MGALS figure upon request, but Ofcom wants ISPs to include this at the point of sale). * Strengthen the right to exit if speeds fall below a guaranteed minimum level. Providers would have a limited time to improve speeds before they must let customers walk away penalty-free (a maximum of 1 month to improve speeds). For the first time, this right to exit would also apply to contracts that include phone and pay-TV services bought with broadband. * Increase the number of customers who benefit from the Codes, by expanding their scope to apply to all broadband technologies. Speeds can fall a little during busy peak times because more people are online and home broadband connections need to share their local network capacity between many subscribers in order to remain affordable. Generally this tends to be more noticeable on faster connections, although experiences do vary between different ISPs and networks. Under the new approach consumers will receive an estimate for the maximum speed at off-peak times (80th percentile speed), the normally available speed at busy / peak times, the minimum speed at peak times (10th percentile speed) and of course the package’s advertised rate would also be displayed. On top of that Ofcom will also require all of this to be showed for upload speeds too. To deliver normally available speed estimates based on peak time speeds, signatories will be required to test the actual speeds of a statistically meaningful panel of customers on each broadband package during peak time. This testing will measure the speed from the router (also known as the Customer Premises Equipment) to the edge of the ISP’s network where it connects to the internet. To estimate the minimum guaranteed speed for DSL services, Ofcom propose that the current threshold for the minimum guaranteed speed for DSL services of the 10th percentile of customers on similar lines is retained, but adjusted to reflect peak time contention as set out for the normally available download speed estimate. We propose that the minimum speeds included in after-sale information are the minimum guaranteed download speed outlined above, and the minimum upload speed, would be derived in the same way as the minimum download speed, accounting for contention. For the avoidance of doubt, we do not intend the minimum upload speed to carry any ‘guarantee’ linked to the right to exit. 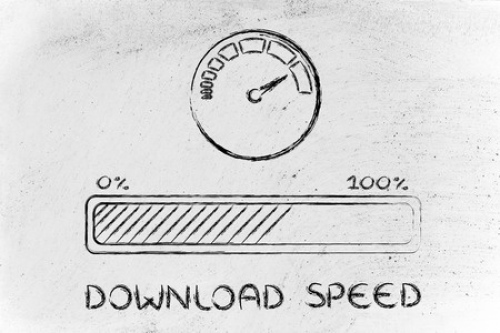 We propose that the maximum upload or download speed should be based on the 80th percentile of similar customers. This should reflect network performance during the quietest hour or when the sampled customers achieve their highest speeds. We propose using the 80th percentile for two reasons. First, as this measure is intended to indicate the potential maximum speed of the customer’s line, it is appropriate to set the metric at a relatively high level. Second, the 80th percentile of similar lines is already a measure that DSL providers have access to and which their systems can capture and process; and which will also need to be prepared for cable and FTTP services under the new codes. These would be the same measures as outlined for the normally available upload and download speeds above. Where a broadband product has an advertised upload and/or download speed, they should be included in after-sale information. CAP is currently undertaking work to determine how ISPs should calculate headline speed claims for their broadband services in a manner that will not mislead consumers. The codes will provide a link to CAP guidance. However, for Cable and FTTP/H providers, Ofcom has proposed a slightly different approach. For these technologies, the speed received by the customer is not dependent on the length of the line and is instead primarily affected by the degree of network contention. This is something that the ISP can improve through investment but generally it also means that the regulator’s proposals need to be adjusted. Therefore, for technologies where speed degradation is not affected by the length of the connection, Ofcom has proposed that the minimum guaranteed download speed should be at least 50% of the advertised speed of the package. “We consider that this would protect those customers who receive speeds significantly below expectations, while still encouraging ISPs to invest in improving their networks,” said Ofcom. “We want broadband shoppers to know what they’re buying, and what speeds to expect. We suspect that the new requirement for ISPs to carry out speedtests in order to create a normally available speed value could be very problematic for new entrants and smaller ISPs. One provider told us that the test proposals were quite complex in their detail. Some of the biggest providers (e.g. BT and Virgin Media) apparently have the capabilities built into their routers, but smaller ISPs do not. Some ISPs are known to be considering the 3rd party option of working alongside an organisation like Samknows (they’ve installed modified routers in thousands of UK homes to monitor connections), although this already looks likely to be far too expensive. However, on the whole, the changes seem to be positive and providers have somewhat dodged a bullet thanks to Ofcom’s decision to keep the revised code “voluntary“. Overall, the regulator claims to have found that “providers are complying adequately with the current residential Code” (their mystery shopping research showed an increase in compliance), although they do say there’s still room for improvement and the new rules should help with that. The consultation on these changes is due to run until 10th November 2017 and Ofcom then intends to publish a final decision on the improved Codes of Practice during early 2018, which will be accompanied by a consumer guide to help raise awareness of the additional benefits of the new Codes. We’ll keep an eye out to see which ISPs sign-up and which do not. Whilst this may seem to be good news, Ofcom’s approach to implementing this will mean it backfires. Sadly, the requirement to use actual speedtests to inform individual speed estimates will mean that, in the end, only the big 4 ISP’s will stay in the voluntary code. 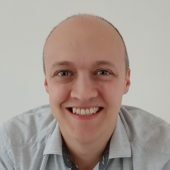 Providing the data on a large sample is not just problematic or expensive, it’s prohibitive (for a 20,000 customer ISP, adds around £1 per EXISTING BB connection per month, just to better inform new customers). I understand that several ISP’s who are currently members are likely to leave the voluntary code as a result. Why not just ban long term contracts? Problem then goes away. Ofcom’s voluntary code of practice for residential speeds.As the name implies it is voluntary. I had a run in with SSE about minimum broadband speeds who responded ” We are not signatories to the voluntary code ” . So we have a nationwide regulator that has voluntary codes, Which is a bit like having a legal system where the criminals decide their sentence ! The Government just loves regulators that do “f all “. e.g Ofgem ????? another one. advertising repositioning will change all that ! I thought plusnet was bad but talktalk are even worse. 0.7mbps minimum guaranteed. What a joke, I know the line is capable of 2.2mbps despite the distance from the exchange. The majority of isps use the same network provided by openreach so why is it the speeds differ to the extent of ~30% give us rights to leave within a certain time limit because they drag the investigations on. 6 weeks so far since going live and had problems since day 1. Its not unreasonable to ask for 50% of the estimated speed so why do they make you pay for less? I wonder how BT gets away with saying upgrade to fibre, supply that to a steel box and give a copper cable to the house? Charge for a phone most people don’t need if they want just the Hub, provide an EE SIM, don’t have their own per se,no support unless you type endless stuff that obviously you don’t understand or,do it yourself,and try getting help from EE or various reputable shops,no chance. Disgusting behaviour from the national telephone company, my opinion “Fools on stilts” it may be allegorical that BT have the underground network,but technology is going to leave them in the mud and traffic jams.